Michelle McDermott, owner of Mc Events and Weddings creates beautiful stylish weddings through flawless execution and exemplary service. Always ensuring each and every wedding is a direct extension of her clients style and personality her weddings are delightful celebrations with unforgettable memories. Michelle first established her premier wedding planning business in 2001; based in the West of Ireland but covering the whole island of Ireland. She draws on years of experience to create that magical occasion that will be remembered for a lifetime. In 2009 having identified that the needs of couples coming from overseas to host their wedding in Ireland were not being met she established Dream Irish Wedding to exclusively look after this unique market. 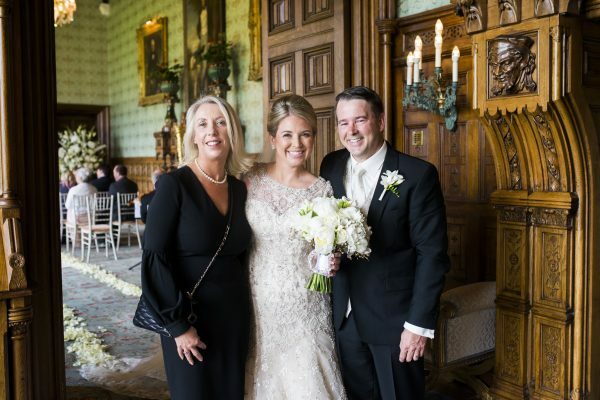 Dream Irish Wedding’s reputation precedes it, as they work tirelessly to set the standards for quality and performance in the industry and then for each and every client work to exceed these standard. Ensuring as their clients the personal attention you need to identify and achieve your wedding goals. We are the only Ireland based planners to specialise in Destination Weddings in Ireland. Professional Wedding Planners – we didn’t set up after planning own wedding! Affiliated with Ireland’s finest wedding venues including Adare Manor, Ashford Castle, Ballyfin and Luttrellstown Castle among many others. Rare, covert wedding planners who look after many discreet social elite weddings. Whether it is a splendid wedding for 600 or more intimate events for 20 our approach is the same. We only do a limited number of bespoke weddings each year . We do not work on commission ensuring our clients get the very best value. We don’t claim to be the cheapest as our extraordinary service would not permit it! Dream Irish Wedding is committed to being the single resource you come to for advise on getting married in Ireland.